March is the month of women, with the Unites States recognizing Women’s History Month and globally recognizing International Women’s Day (March 8th). It is a time to further acknowledging women and their continued struggle while recognizing the rights of women. NLGJA will celebrate and honor some LGBT female heroes. As Women’s History Month begins, remember the women in the newsroom who paved the way. LGBT Media Pioneer Sarah Pettit blazed the way for those who followed her. Her legacy continues, in part, through the Sarah Pettit Memorial Award for Excellence in LGBT Media. Pettit, a founder and Editor-in-Chief of Out Magazine, one of the first gay and lesbian publications to enjoy national status, is a NLGJA LGBT Journalist Hall of Fame inductee. Pettit and Michael Goff created Out Magazine in 1992. She drove the magazine to extend its cultural and political focus while attracting a wide arrange of advertisers that previously did not appear in gay publications before. After Goff left in 1996, Pettit was named editor-in-chief and continued in that role until 1998. 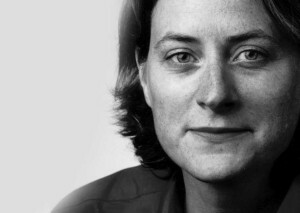 In 1999, Pettit became the arts and entertainment editor for Newsweek magazine until spring of 2002, when she became ill and eventually, passed away. The Sarah Pettit Memorial Award for Excellence in LGBT Media is a special recognition award inspired by Pettit’s legacy and work. The 2015 winner of the Sarah Pettit Award for Excellence in LGBT Media, Trish Bendix, is Editor-in-Chief for AfterEllenand a strong acvocate for the LGBT Press. Applications are now available for the Excellence in Journalism Awards. It is your opportunity to be honored with awards such as The Sarah Pettit Memorial Award and showcase your work in the journalism industry.